Anti-cellulite products (gels, creams, ointments, etc) have one thing in common. They all contain essential oils, even the most expensive ones. 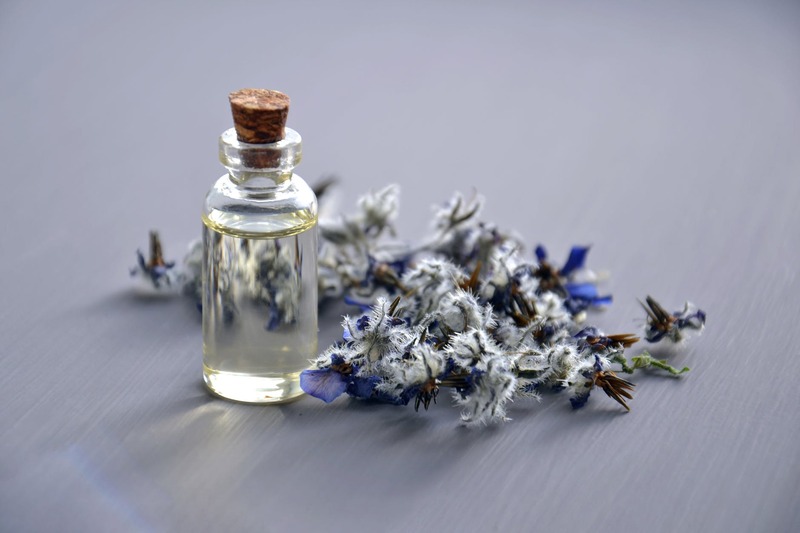 Essential oils are proven to improve blood circulation, they nourish and moisturize the dimpled skin, providing healthy compounds and vitamins to regulate the regeneration of the skin. The effect is similar to the expensive anti-cellulite topical treatments. You can also take most oils internally (read the instructions for their recommended dosage and specific directions) for internal body detoxification, increase metabolism, fight against various diseases, etc. Note that most essential oils are not recommended during pregnancy! To effectively fight cellulite it is recommended to massage the affected areas twice a day, using upside down movements for the thighs and clockwise for the abdomen, without applying force or causing damage to the skin. A massage session should last at least 10 minutes. It is believed that this oil is a miracle compound in the fight against cellulite. It has great detoxifying properties and improves blood circulation. Pelargonium oil boost skin restoration, leaving it softer and tighten. This is another potent essential oil that has a great therapeutic effect on cellulite. It improves overall skin health, making it smooth and vibrant. Lemongrass oil is often used for muscle relaxation and it is proven to boost blood circulation. You can use high-grade lemongrass oil mixed with your favorite carrier oil and massage the problem areas. You might experience a warming sensation right after the topical application of this oil, due to the high potency of lemongrass – it contains loads of beneficial chemicals, minerals, and vitamins. And the scent is just great and will last long after you have finished your massage session! Rosemary oil will tighten and tone the skin. On the one hand, it promotes faster regeneration and blood circulation, on the other – it stops the lymphatic blockage, which is the main reason for the formation of cellulite. Rosemary essential oil is indeed strong, so you’ll need to dilute it with a carrier oil of your choice before massaging the affected areas. This oil is among the most effective anti-cellulite oils because of its ability to eliminate toxins, which are one of the main reasons for the appearance of this common problem. Massage daily, targeting the cellulite-ridden areas, leaving the oil on the skin after the procedure. Besides being super efficient in anti-cellulite massages, this oil also relieves arthritis, works well on scars, makes the skin tight and shiny. When massaged into the skin, it successfully reduces fluid retention, improving the circulation in the deeper skin layers. The beneficial impact of carrot seed oil in the fight with cellulite is explained by the strong antioxidant and detoxifying properties of the oil and the ability to stimulate blood circulation and collagen production. It tones the skin and is highly recommended for those trying to get rid of both cellulite and stretch marks. This is another great oil that improves blood circulation. It has a great diuretic effect when taken orally and tightens skin and muscles when applied topically. Cypress oil is beneficial in a combination with other, more potent anti-cellulite essential oils, as it helps to clear toxins from the body and also increases metabolism. If you use it as a part of your anti-cellulite treatment, the effect will be even better. Juniper oil is probably the most popular of all anti-cellulite oils. It can be used in combination with olive oil. It is effective for cleansing toxins while reducing fluid retention, which helps eliminate cellulite. Juniper oil helps tissue regrowth, thanks to the proven regenerating properties of this oil. It contains calcium, potassium, zinc, B vitamins, and beta-carotene to help regenerate the damaged tissue. The anti-cellulite procedures are not easy – they require both patience and persistence. It may take several weeks before you start seeing an improvement. If, however, you are looking for a formula, specially developed for the treatment of cellulite, we have prepared a list with the most successful anti-cellulite creams, aiming to eliminate the dimpled skin.